With its iconic glass bottle, Epsa is one of the most recognizable brands on the Greek market. Tirelessly working towards expanding its range of beverages and juices, the company is always the first to market with new products. A favorite with consumers at home, Epsa successfully exports its products across the Atlantic and as far afield as Australia. Locals in Agria, the village where the company was founded and is still based today, like to joke about the ‘legend’ of Epsa’s origins. Launched in the early 1920s as a small refrigeration and ice-production company, the story of Epsa’s success includes tales of the area’s epic citrus-fruit production, the street vendors of traditional lemonade and the secret recipe of a German known as ‘Mr Otto’. Building on that legacy, Epsa today ranks as one of the most competitive beverage companies in the country. In the days before Epsa’s products became widely available around the country, visitors to the region would return home with boxes of the company’s famous lemonade as presents for family and friends. Using the finest Greek fruit and pure spring water from the local mountains, Epsa’s products immediately won the hearts of consumers, and the company won the Golden Quality Award at the 1937 Thessaloniki International Trade Fair. The commemorative glass bottle, designed in 1940, remains unchanged to this day. Immediately recognizable by Greeks of all ages, it is emblematic of Epsa’s long-standing tradition of delivering top-quality products. Epsa insists on giving back both to nature and to the people that afford it its success. The company has invested in sophisticated biological purification systems for its factory, ensuring minimal impact on the local environment and has, notably, participated in the “Social Amphictyony” project, an EU initiative aimed at tackling inequality in the labor market by promoting social entrepreneurship and corporate social responsibility. The project was recognized as one of the most successful private-public sector collaborations on a European level and was presented in front of the European Parliament in Brussels. Epsa’s strong foothold in the Greek market and increasing export activities are a result of the company’s uncompromising approach to quality and consistent brand building. The products are expertly developed, produced and launched, and become instant consumer favorites. In fact, in the days before Epsa’s products became widely available around the country, visitors to the region would return home with boxes of the company’s famous lemonade as presents for family and friends. Since its creation in 1924, the company has introduced a multitude of new products to the Greek market. 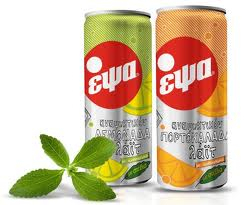 In 2011, it was the first company to offer Greek organic soft drinks and, in 2012, was the first to introduce diet soft drinks sweetened with stevia. Epsa continues to push forward, constantly developing new products to add to its range. Alongside continued product development, Epsa’s goals for 2013 include extending its activity to three more countries.